According to the Centers for Disease Control, in 2013, 2.5 million people visited the emergency room due to traumatic brain injuries. Another 282,000 people were hospitalized due to traumatic brain injury. Traumatic head injuries can affect almost every aspect of a person’s life. Individuals may have trouble with memory, cognition (thinking), sleeping, and experience changes in mood. The more severe injuries can result in problems speaking and moving. Even mild traumatic head injury can have an impact on a person’s ability to work, care for their loved ones, and enjoy life. Head injuries are usually caused by a sudden jolt or blow to the head. According to the CDC, falls are the leading cause of traumatic brain injury. Being struck or hit by an object was the second leading cause of traumatic brain injury, and car accidents were the third leading cause leading to hospitalizations and deaths. The great tragedy is that many of these accidents could have been easily prevented with proper precautions and care. For instance, nursing home falls can seriously affect elderly residents and lead to traumatic brain injury. Sports injuries or construction accident injuries can leave individuals disabled or requiring long-term care. When workplaces or sports organizations fail to provide individuals with proper safety gear or instruction, accidents can happen. Finally, car accidents are another source of preventable head injuries. Texting and driving, drunk driving, speeding, and breaking the rules of the road can all lead to devastating crashes. If you or a loved one has suffered a traumatic head injury or a mild traumatic brain injury due to the neglect or negligence of another person or party, you may be entitled to receive money to cover medical expenses, lost wages, and pain and suffering damages. The Law Office of Brian K. Branch are head injury attorneys in Albuquerque, New Mexico who work closely with victims and families, helping them to seek justice for their injuries. If you have been hurt, contact us today to learn more about how you can protect your rights. If you’ve been in a car accident, suffered a slip and fall, or were injured on the job, you may or may not have sought medical treatment. However, every year, people are injured and may not be aware that they have been hurt for days or even weeks. Mild traumatic brain injury can take some time before the symptoms become manifest. If you’ve been hurt in a car accident, at the job on a construction site, or have been in a slip and fall, you may want to watch for symptoms of mild traumatic brain injury. If you’ve been unusually fatigued, have suffered headaches, have changes in vision, are experiencing memory difficulties or problems with attention, you may have suffered a mild traumatic brain injury. Sleep problems, balance problems, changes in mood or emotion, or depression can also be signs that someone has suffered this kind of injury. If you or a loved one is experiencing these symptoms, consider seeking medical attention as soon as possible. The head injury lawyers in Albuquerque, New Mexico at the Law Office of Brian K. Branch can help you seek the recovery, compensation, or the justice you may deserve under the law for your accident. Many suffer in silence, unaware that their new symptoms are the result of their recent crash or accident. Contact our firm today. Back injuries can be devastating. The pain can be long-lasting and in the most serious cases, back injuries can result in life-long disability. Back pain can result from many causes, and it can sometimes be hard to diagnose a clear cause. 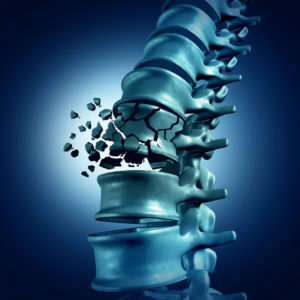 Individuals who have suffered back injuries may face surgeries, may have to take prescription pain medications, or may have to endure weeks, months, or even years of rehabilitation. If your back injury was the result of a car accident, slip and fall, or construction accident, you may wonder whether you are entitled to receive compensation for your medical expenses, lost wages, and rehabilitative costs. If you were injured due to the neglect or negligence of another person or party, you may be entitled to seek damages for your losses. The back injury attorneys at the Law Office of Brian K. Branch in Albuquerque, New Mexico work closely with victims and families to help them seek justice for their losses. 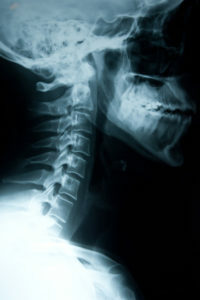 Our firm can fight to pay for your CT scans, X-rays, and MRIs. If you need surgery or physiotherapy, a back injury lawyer may be able to pursue negligent parties or insurers for damages and recoveries. Back injuries can impact more than your health. Victims may have to miss time at work or they may suffer immense pain that can impact their ability to engage in regular life activities. If this describes your situation, you may be entitled to seek damages for your losses under the law. The Law Office of Brian K. Branch are back injury attorneys in Albuquerque, New Mexico who can fight to help you recover lost wages and pain and suffering damages for your injuries. You may only have a limited amount of time to make a claim for your back or your recent head injury. Having a team of compassionate and caring attorneys with more than 40 years of combined experience can make a difference in the outcome of your case. Call the Law Office of Brian K. Branch at 888-972-1212 today.